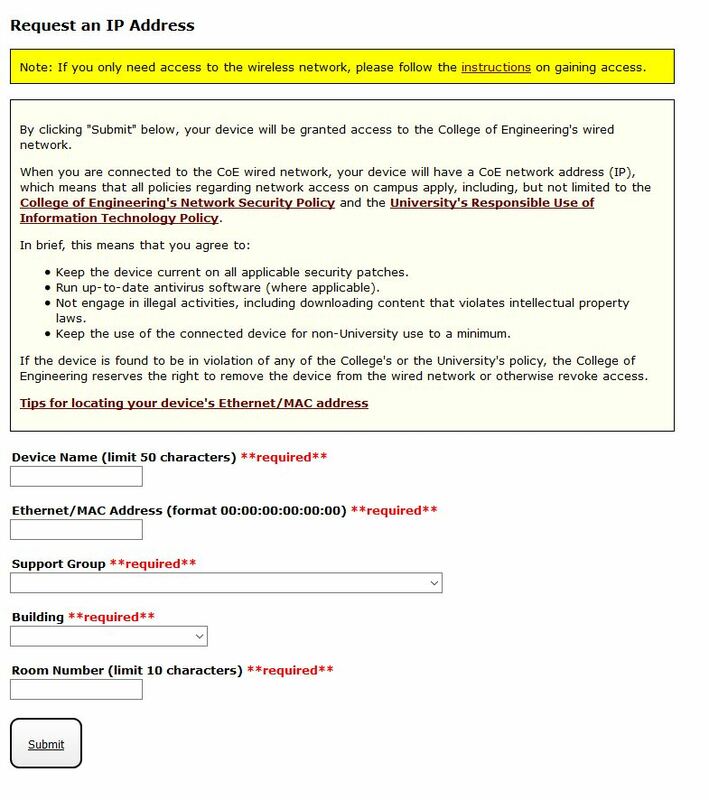 Faculty and staff have the ability to register their computer on the CoE network. Now enter the MAC address of the new machine. Keep in mind that you should only use this if you rename the new machine to that of the old one. All of the information for the new machine should match that of the old one, with the exception of the MAC address. If you have questions or problems, you can contact your Departmental Support Person (DSP) https://kb.wisc.edu/cae/page.php?id=25482 or email the CAE help desk at helpdesk@cae.wisc.edu.